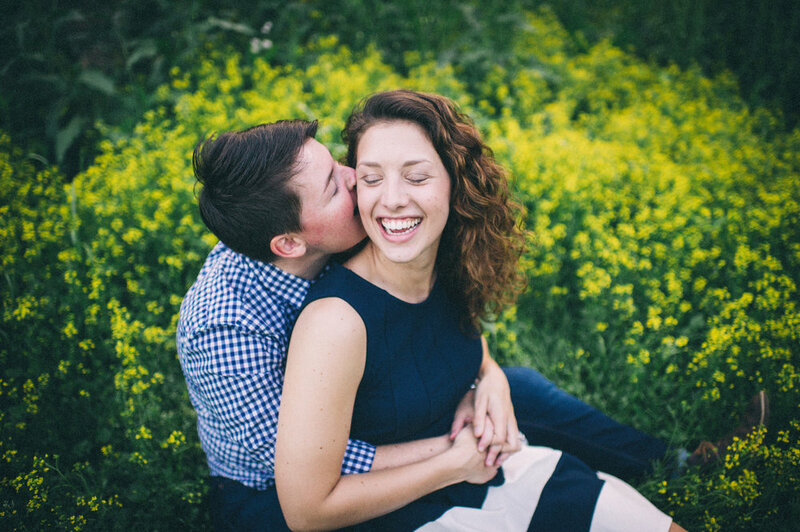 I've known Chris & Cassie for nearly a decade and have been photographing them for just as long. It's been amazing watching them grow individually and as a couple, and being able to document that growth has been nothing short of special. Four years ago at their wedding, I was both a grooms person and their photographer, and I still hold those photographs really close to my heart (as you can probably tell since I can't bear to take it off my weddings page even though it's from 2014). You should check it out, then head back over here. Anniversary sessions are quickly becoming one of my favorite things. Like I said before, I love documenting how a couple's interactions change over the years. For Chris & Cassie, I'm seeing so much more confidence in each of them as well as a comfort in those quiet moments together. Despite all that, they still have the same intense, big love as when they were first engaged— as was made clear by an interaction we had with a woman who wandered by: "Congratulations!!!" She exclaimed, "you can just tell you're newly engaged!!" Chris responded, "We've actually been married for four years!" I don't think she believed them, but they both totally loved being mistaken for a newly engaged couple. I got one of my favorite laughs from the session as they talked with her, so thanks, stranger! When I visit Chris & Cass in Chicago we almost always visit the Lincoln Park Conservatory— it's hands down one of my favorite places to spend an afternoon, but it is also amazing to photograph, especially during the winter! 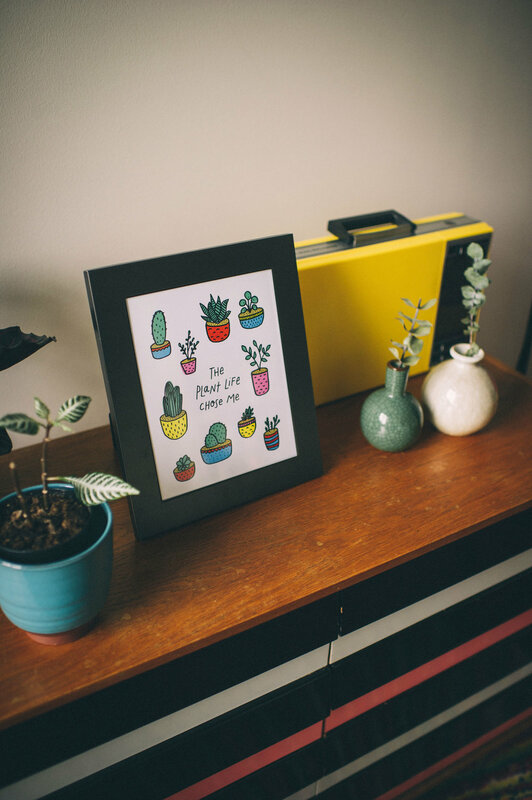 If you need more greenhouse goodness in your life (how could you not?) 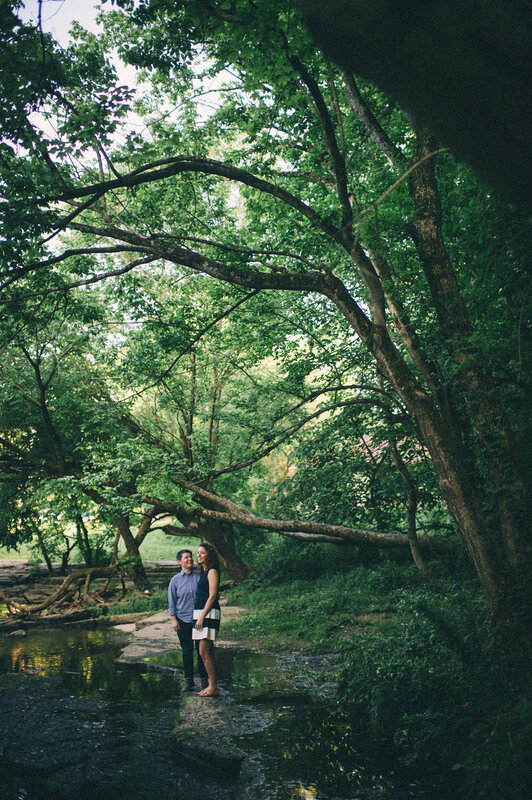 check out Micaha & Austin's Lexington greenhouse engagement session or Chris & Erin's Yew Dell Botanical Garden wedding. Where do I even start for Lauren and Joey? I first met Lauren several years ago when she was helping to plan her sister Jenny's gorgeous backyard wedding. I had the best time getting to know their family. Full disclosure: I did creep a little bit trying to figure out if Lauren was going to be getting married soon because I really wanted to get to photograph her and Joey. Is that wrong? I'm gonna go ahead and say no. 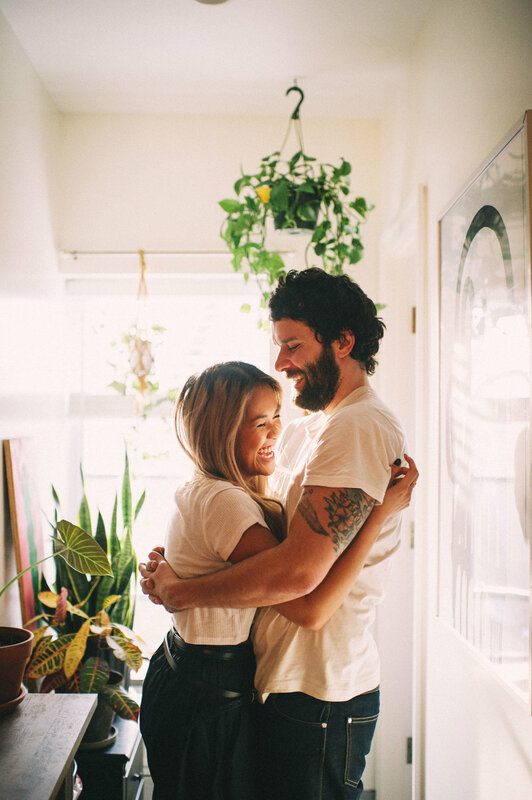 We decided to do an in-home session for their engagement photos— needless to say, I was head over heals for their tall ceilings, big windows, exposed brick, and loads of plants. It was one of those times I felt like I was hanging out with friends (and also happened to be taking photos) as they made breakfast, brewed some coffee, listened to records, and talked Twin Peaks. I am really excited to share the images with you today! If you are looking for some more in-home goodness Alex & Collin's session was so cozy and sweet (and included the softest sweetest pupper). I've got a few more in-home sessions queued up to share with you as well— so be sure to check back on the blog in the coming weeks! 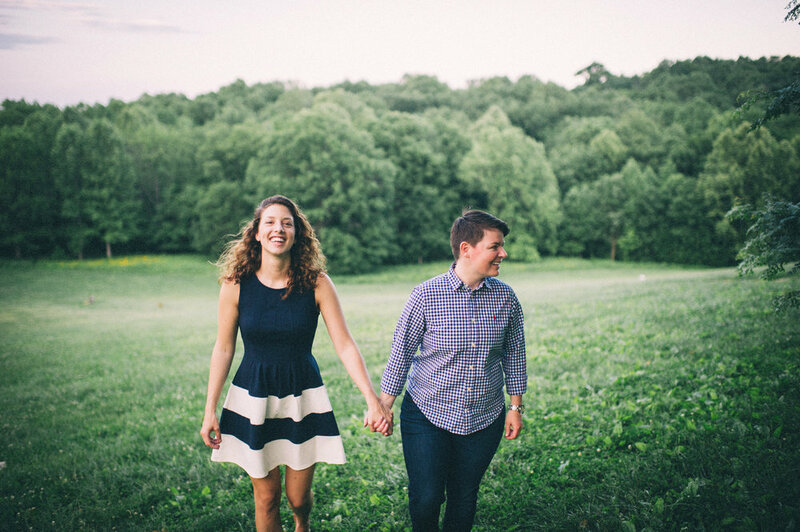 Elle and Suzy weren't going to make it to Louisville until two days before their wedding, but luckily they carved out some time for us to adventure around the park together. 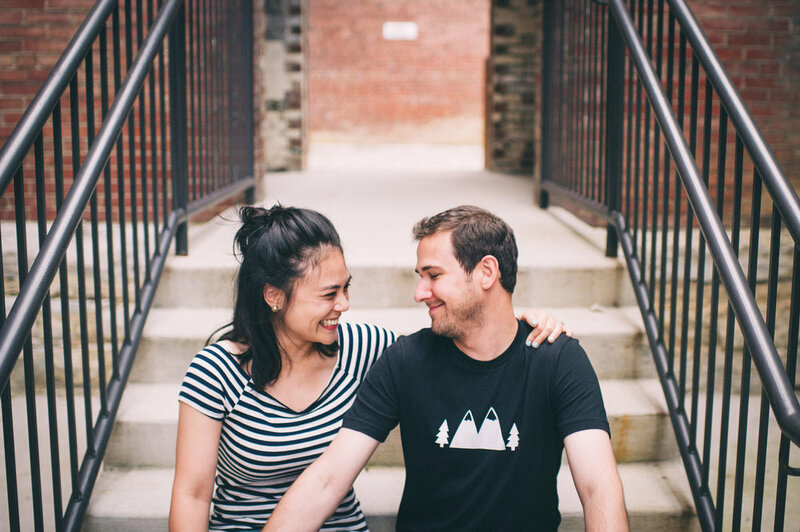 I am always incredibly thankful to all the couples who take the time to have an engagement session with me, but when you've only got a handful of days in town and your session starts at the end of an eight-hour car ride I am especially grateful. I knew we were going to be a great fit for each other as soon as I met them, but when a Seinfeld gif was sent my way after their session I was smitten. 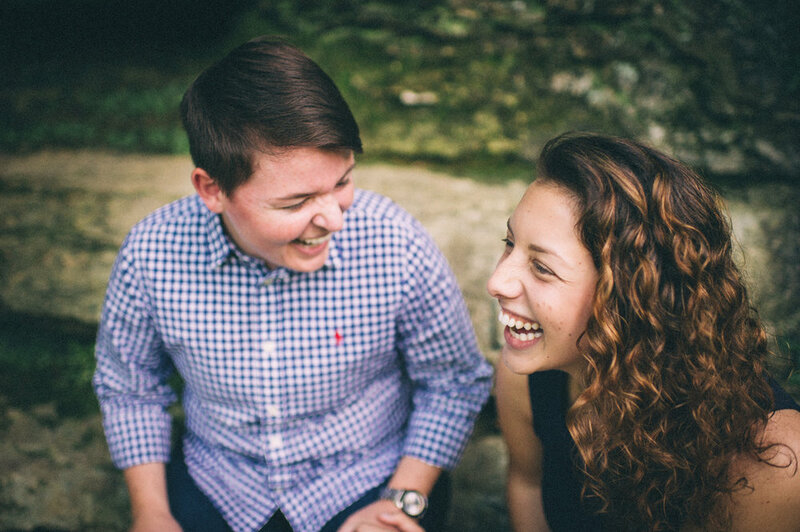 If you've spent any time talking to me you know I LOVE engagement sessions— which is kind of funny since I was vehemently against having one when I was getting married. (It's always hard for me to be on the other side of the camera at first.) 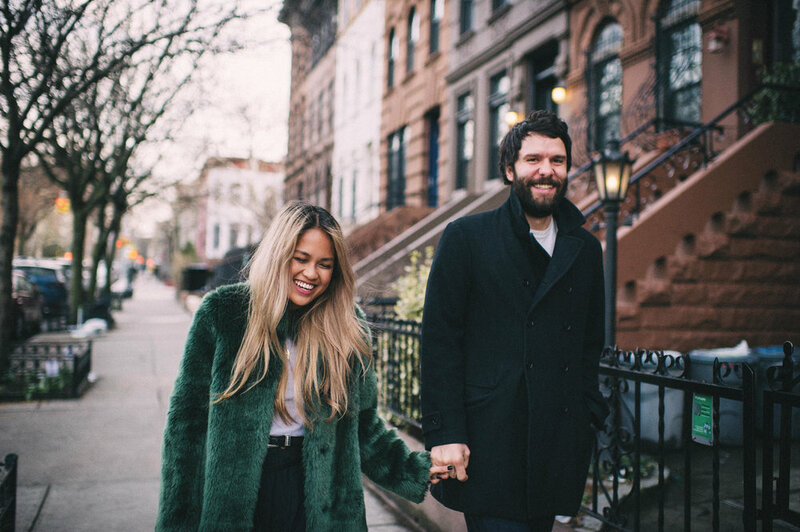 Honestly one of the reasons I love them so much is because I know a lot of my couples also feel awkward in front of the camera and I want to show them that they won't feel awkward with me. 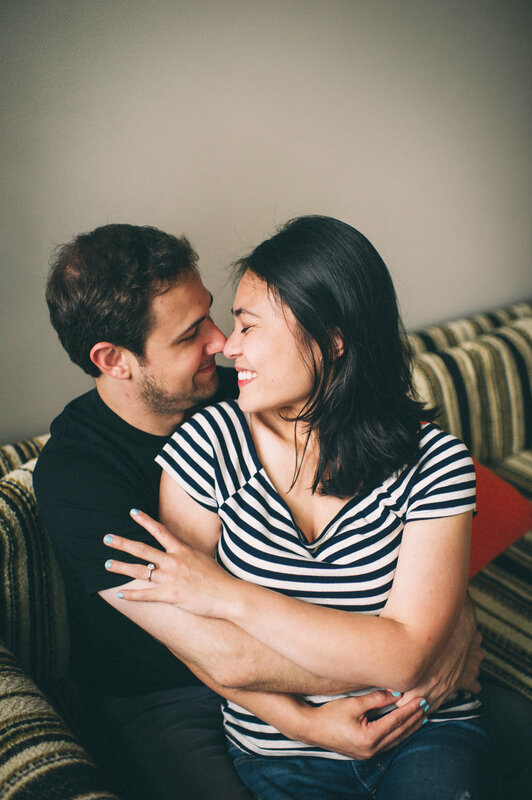 Engagement sessions are an amazing way to experience my style of shooting (goofy, laid-back, and dare I say fun?) and make sure couples aren't stressed at all on the actual wedding day. It also gives all of us a chance to get to know each other better (I don't think anyone wants a stranger at their wedding) and of course, couples get some really awesome images out of it too. Elle and Suzy were all I could hope for in a couple and more— they were down to climb, wade, and explore with me (and were really chill when we narrowly avoided some poison ivy- eek.) If you think their engagement photos are great, just wait for the wedding images. 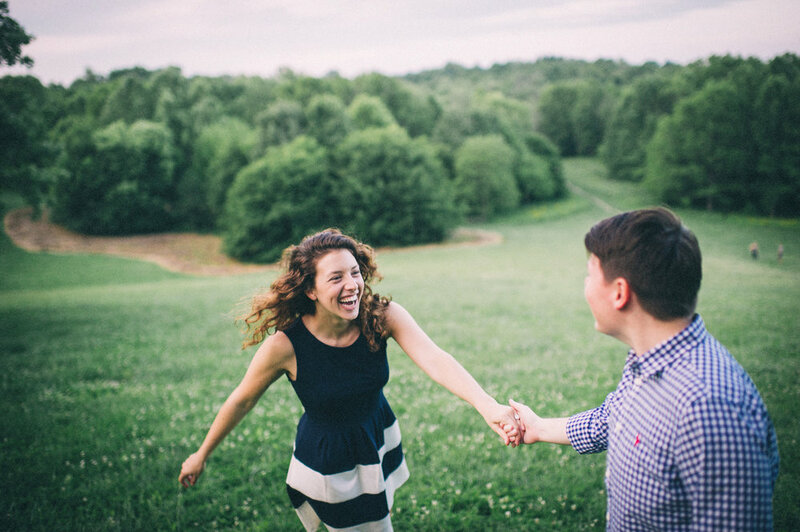 Looking to check out more adventurous engagement sessions? Try Angela & Jonathan or Jamie & Blake.